I swear, the indie community doesn’t take a break. In the time it has taken me to get over my New Years’ hangover there have already been dozens of fantastic games released. In an effort to highlight some subset of all of this talent, let's talk about some of the games that I’m happy to recommend you check out this week. Nathalie Lawhead has done it again. Fans of the blog might recognize Nathalie’s name from the her interview, or the fact that we adored her previous game Everything is Going to be OK, but her work deserves to be loved by everyone. 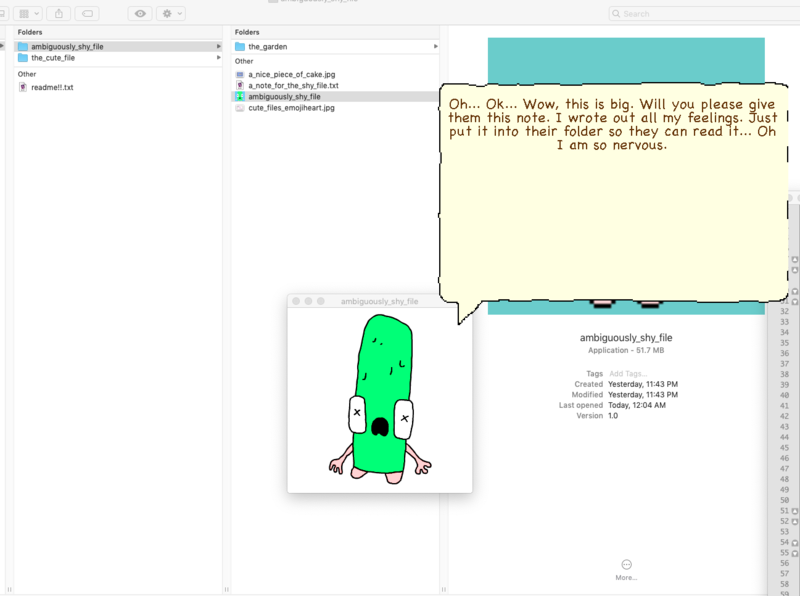 This time Nathalie is continuing to play with the structure of what games can be with A_DESKTOP_LOVE_STORY. Thematically, Desktop Love Story is about a handful of characters communicating and falling in love. Lawhead’s writing is as poignant and heartfelt as it has ever been, but what takes this game from an interesting meditation on relationships to can’t-miss gaming is the fact that the game is played by moving files in a directory on your computer. As the game’s title implies, each character in this story is an individual file that you have to help through generating, moving, and changing files in between their respective folders. It’s a unique control scheme that made me feel as though I was actually ferrying items and objects back and forth between characters as I cut and pasted files all over the game. The effect is weird, but I began to genuinely care for these goofy files/ creatures as my time with the game ran on. Here’s a game that’s all about relaxing. Marshmellow Day Spa is a game that does exactly what it says in the title. You play as the proprietor of a day spa that caters to marshmallows and their hot cocoa-based desires. Developed as a part of a game jam, the mechanics in this game are relatively simple, and there’s a good bit of jank involved but the core loop is fun for a short trip to the spa. Each marshmallow has a specific checklist for how they like their cocoa and it’s up to you to get things ready for them. 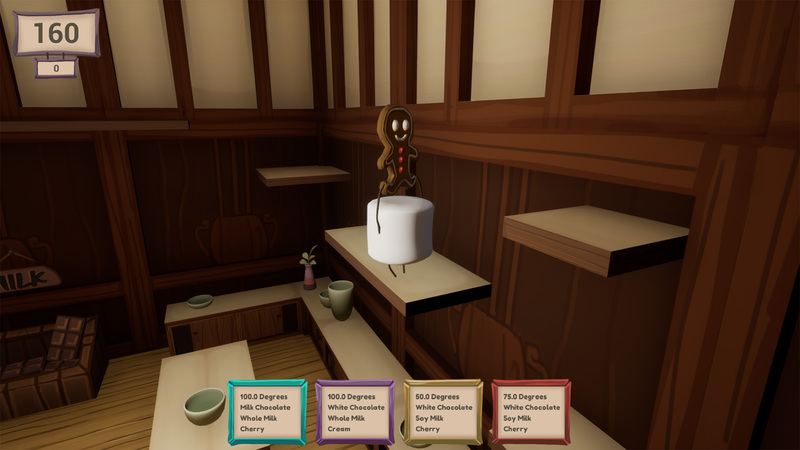 There are simple tasks like changing the water temperature, but the game shines through the more complex requests like traversing a 3D platforming world to find specialty ingredients like gingerbread. There’s not a lot of depth to Marshmellow Day Spa, but for a beautiful 20 minutes I was taken away by the game’s relaxing atmosphere and that’s worth a lot. I never expected to play a fusion of Phoenix Wright and Mega Man X. Something about a slow burn detective point-and-click game and a lightning quick platformer coming together to make something coherent seemed impossible. This week I come to you a humbled man as Double Cross has somehow managed to take these two influences and build something genuinely unique out of them. 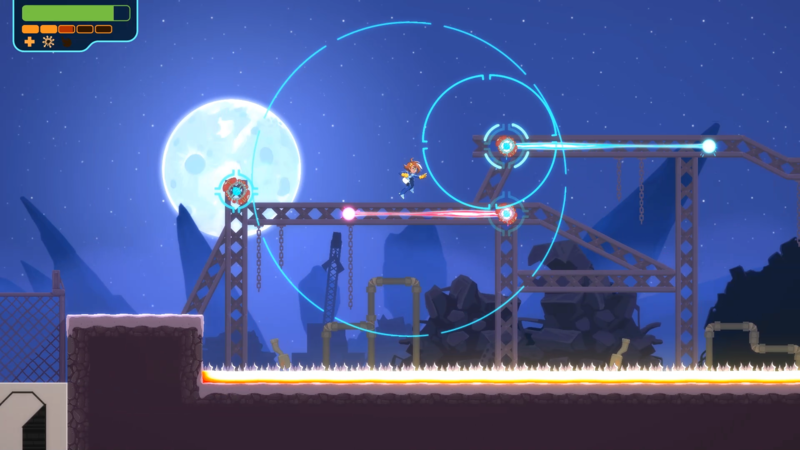 When I said this game was a fusion of Phoenix Wright and Mega Man X I wasn’t kidding. Double Cross plays in two chunks, platforming and presenting evidence. The two halves of the game wear each of their influences on their sleeves. As you platform around in MMX style, you move through bits of story and combat enemies to get evidence which you use to talk to and confront characters in the other half of the game. It’s a unique pairing that keeps either half from becoming repetitive. If you’re at all interested in odd pairings that somehow work then you have to check out Double Cross.